Hitting the beach this weekend? 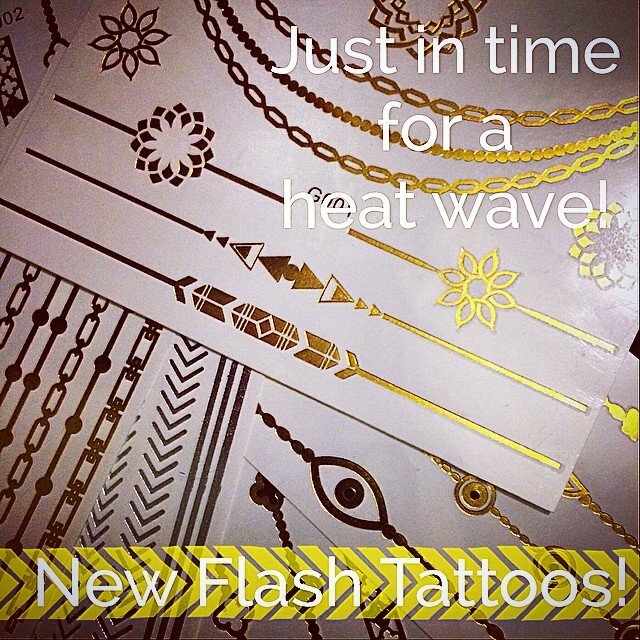 Leave your real stuff at home and put on some #metallictattoos instead! Waterproof and perfect for hitting the town later! They last between 3-5 days, and come off easily with some baby oil!